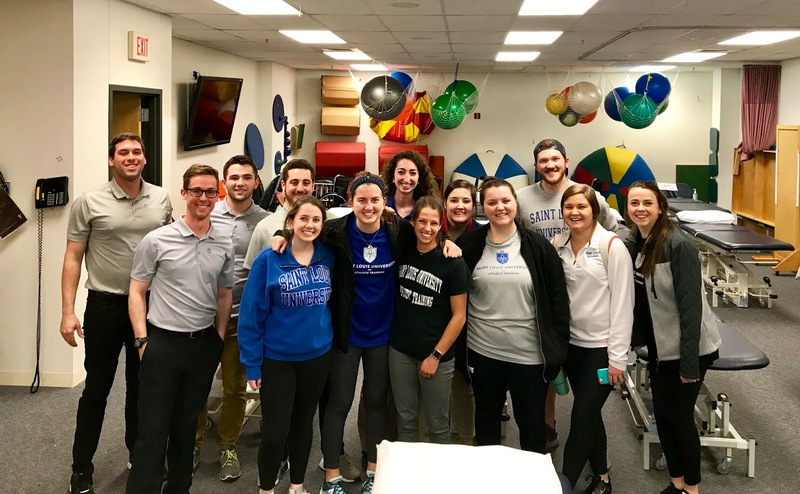 The Saint Louis University Athletic Training Society hosted a sports medicine night with second year medical students who have an interest in sports medicine. This workshop had three stations, run by Professional Year 2 (PY2) and 1 (PY1) students in the AT program, for the students to rotate through during the event. 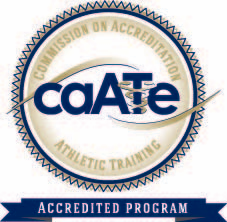 The stations included concussion testing, ankle taping and emergency spine boarding. 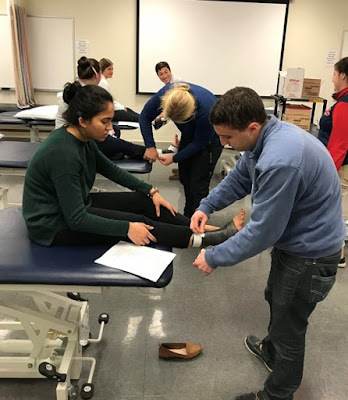 While the PY2s were the group leaders, there were also several PY1s assisting during the sessions as well as undergraduate students who were models for taping and spine boarding. This event is a great way to collaborate with other medical professionals and increase patient care by having an interprofessional team assisting with the care. While ATs are specifically trained to diagnosis, treat and manage concussions, apply assistive taping and handle emergency spine boarding situations it is important for other medical professionals to understand and be able to assist if necessary. 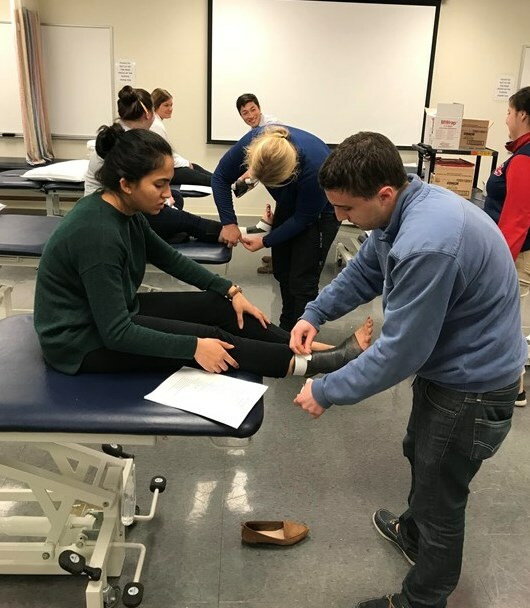 The 2nd year medical students had great questions during each session that showed they were extremely interested in the sports medicine field. 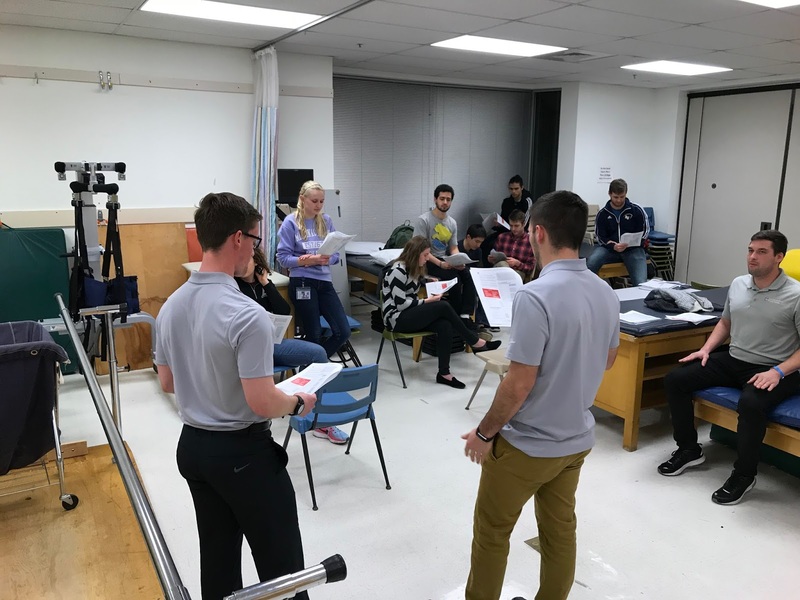 Overall this event was a huge success for spreading knowledge about the athletic training profession and building interprofessional teamwork. The group leaders for the concussion session were Killian Hollo, Adam Long and Paul Lamb. Group leaders for the taping session were Madeleine Bresnahan, Erin Fabbri and Rory Cusack. Taping Models were Claire Ditman and Cheyenne Meinershagen. 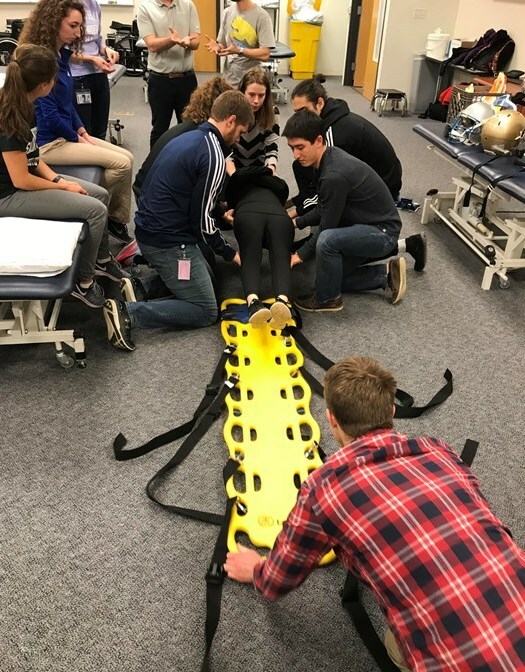 The group leaders for the spine boarding were Bridget Bushong, Jenna Ginsberg and Ben Wildman, models included Mitchell Buerck and Allison Stefan. A big thank you to all of those who participated in the event!